Dr. McGeer is a Professor in the Departments of Laboratory Medicine and Pathobiology and Public Health Sciences at the University of Toronto. In addition to her position as director of infection control at Mount Sinai Hospital, Dr. McGeer is an infection control consultant to The Scarborough Hospital and The Baycrest Centre for Geriatric Care. She currently serves on Canada’s National Advisory Committee on Immunization and on the infection control subcommittee of the Ontario Provincial Infectious Diseases Advisory Committee, and is a member of several local, provincial and national pandemic influenza committees. 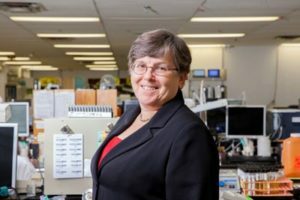 She is an expert reviewer for many research funding agencies including the Canadian Institute of Health Research and US National Institutes of Health, and has served on the editorial boards of several journals, including the Canadian Medical Association Journal, and Infection Control and Hospital Epidemiology.